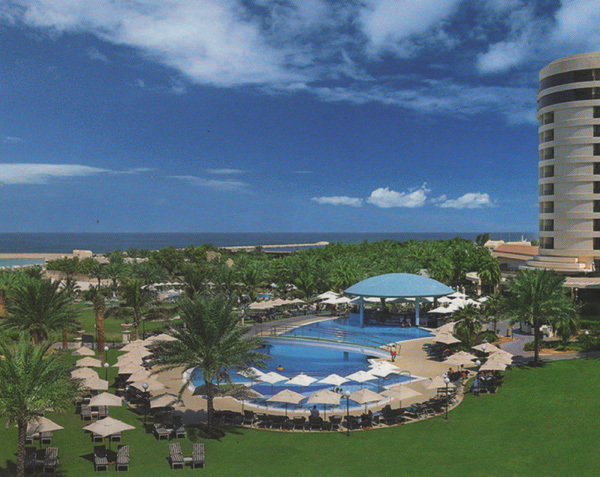 Le Royal Méridien Beach Resort boasts 500 rooms and suites – 206 Deluxe, 130 Tower Rooms, 108 Club Rooms, 30 Deluxe Suites, 22 Tower Suites, two Royal Suites, Royal Apartment and Presidential Suite. The hotel features 12 restaurants and bars. Retail shops including currency exchange, laundry, valet and dry cleaning, gifts, designer fashion boutiques, hair salon, car rental and tour operator, private car transfers, nurse as well as daily city shuttle service. Le Méridien features a fully-equipped business centre and offers seven rooms which can accommodate from 20 to 350 people. There are poolside gardens and beach areas, catering for functions for up to 600 guests. A full range of audio/visual equipment and technical support is also available. The Caracalla Spa & Health Club boasts a gym, aerobics centre, sauna, steam, jacuzzi, Hammam pools, massage and beauty treatments. The resort also has four floodlit tennis courts, two squash courts, temperature-controlled swimming pools and Penguin Club with play area for children and daily activities. A range of water sports include windsurfing, kayaking, aqua-biking, sailing and deep sea fishing.